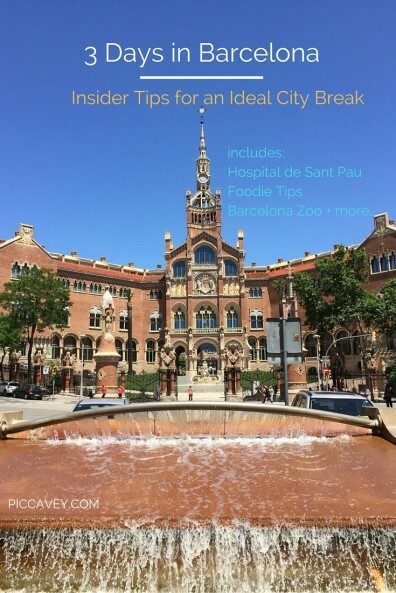 Earlier this year you may have already seen my notes on planning a Spring Break in Barcelona City. Since then I re visited Barcelona city. At the end of May 2016. There were quite a few activities which I thought may be interesting to those planning a visit soon. I was extremely happy to return to Barcelona after such a long time. My last trip was back in November. I barely had time to see the city as that overnighter was to catch a flight to New York for my big holiday in 2015. This visit was going to be a catch up with friends, some shopping and the highlight; to see Adele in concert. 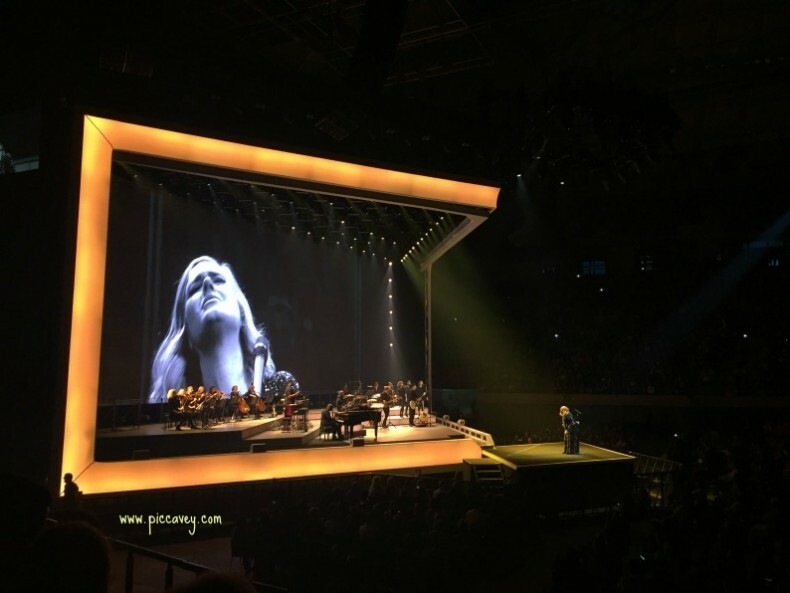 Adele was only playing at Barcelona, no other dates on the world tour were scheduled in Spain. Three nights was going to give me plenty of time to catch up with my ex hometown. My flight from Granada to Barcelona was a short one, around one hour. 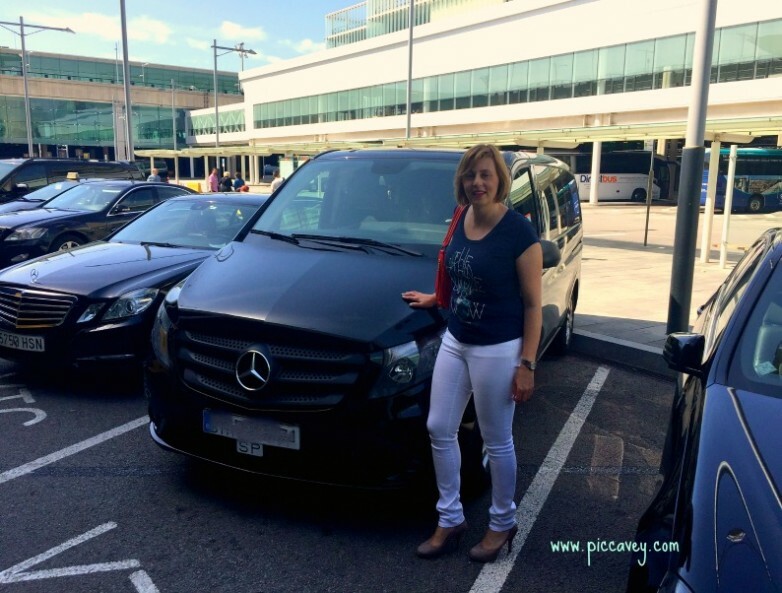 I´d arranged a pick up from the airport with Blacklane to keep the transfer time down. 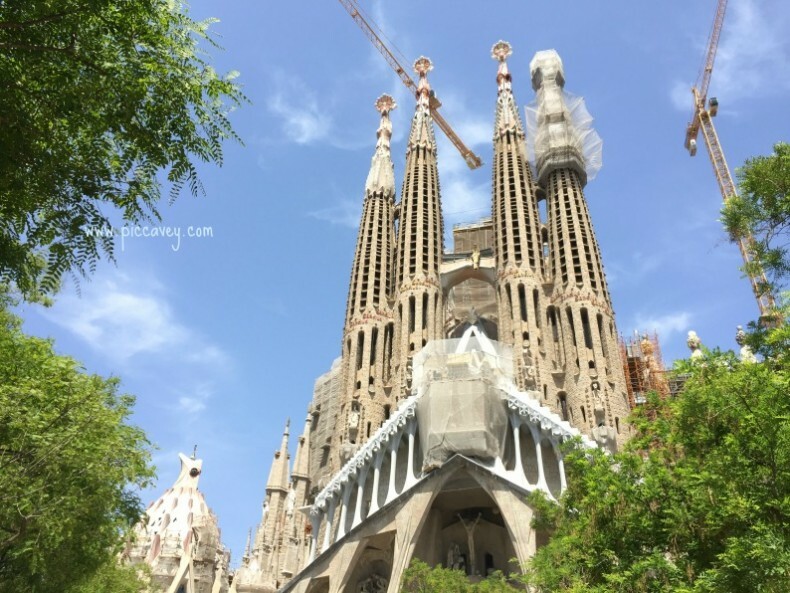 From Barcelona Airport to Sagrada Familia takes about 1 hour on public transport. My blacklane transfer was going to take around 25 mins. When I left arrivals the Blacklane driver was there at the first door. I was thrilled as I had a large suitcase. Being picked up right at arrivals I didn’t need the case across car parks or on escalators. The car was in a designated area right next to the arrivals gate. So just along one moving ramp and we were already at the car. No worries about my bulky suitcase in the vehicle either. I got a large Mercedes Van (newish) all for me. A hassle free and smooth ride. This slick professional service is great especially if you don’t speak Spanish. I booked online indicating the address and flight time. Completely fuss free. Despite being a Travel blogger for 4 years I still have no idea on how to packing minimal. Almost as soon as I´d arrived home I had to dash off to a lunch appointment with a good friend. After lunch I just had time to change and get ready to head to Sant Jordi. Sant Jordi has to be one of my favourite venues. For music events it has a 24,000 capacity and despite the large stadium I always feel safe there. (They also have Sports events at the Palau) Here I have seen Maroon 5 and Madonna over the last few years. From the city centre to the stadium I usually travel by Metro. Two lines go to Plaza Espanya L1 and L3. Then the walk up through the Fira, exhibition centre and past the stunning National Museum of Art is a lovely route. On the way back if you are lucky you even get to see the Magic Fountains show if the timetable fits with your concert. As well as taking the underground you can actually drive up to the venue. There are several car parks next to the Stadium in the Olympic park. I think that when the concert ends you will be stuck in a traffic jam as the car parks empty though. When you arrive to the venue you will be asked to show your ticket to get into the main gate. Once inside the grounds of Sant Jordi before getting into the arena you will have your bag checked. They don´t allow cans or glass bottles at all. Any drinks in plastic bottles are Ok if they are small (330ml or 500ml) but they will take the lid off before allowing you inside. It tends to be hot inside the stadium, especially in summertime and if you are dancing around. Afterwards as the area is higher than the city it is cool. Bear this in mind if you are walking back down to the metro afterwards. You will need a jacket or jumper. The Adele concert exceeded my expectations. Her voice live is so powerful, she really ripped off the roof of Sant Jordi. If you want to see a similar concert her set at Glastonbury (on BBC iplayer) was similar although the venue at Barcelona was much better due to the crowd size and acoustics of course. The next morning I was on a mission to add up another UNESCO World Heritage site to my list. So far I have seen half of the UNESCO sites in Spain. There are 44 to see. Up past the Sagrada Familia, a short walk to the Hospital Sant Pau. This had been on my radar for a while but I´d not managed to book the visit so far. After lunch I was heading out with a friend to La Roca Outlet for some retail therapy and a girls afternoon out. This stunning building in the Modernist style was a fully functioning hospital from 1930 to 2009. Now a monument and an important archive of hospital records, its actually one of the most important in the world with records back to 1500. The whole complex, gardens, façades, roof, inside spaces, ceiling, tiles and windows are all impeccably designed and restored. The inspiration was nature in many of the designs and patterns. 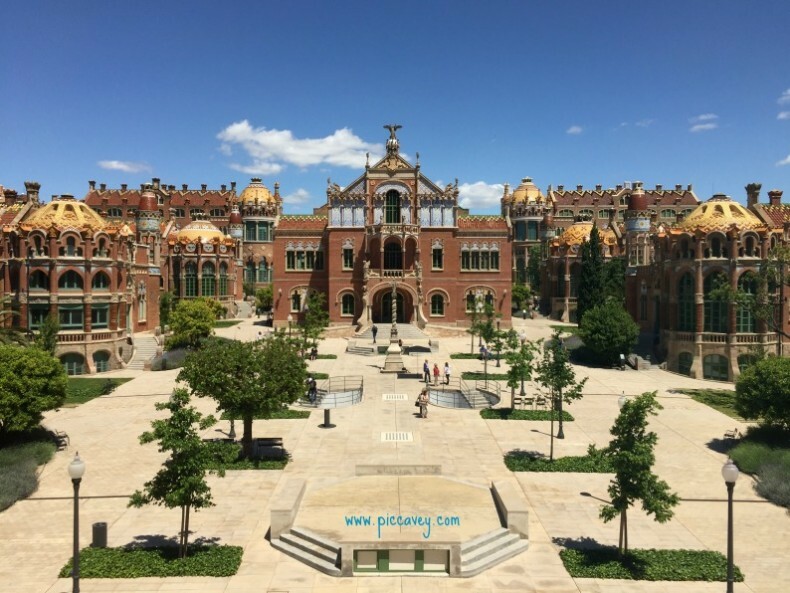 To visit I´d recommend a guided tour (available in several languages.. English, French, Catalan, Spanish) as they know there stuff and it´s such an interesting story to hear. 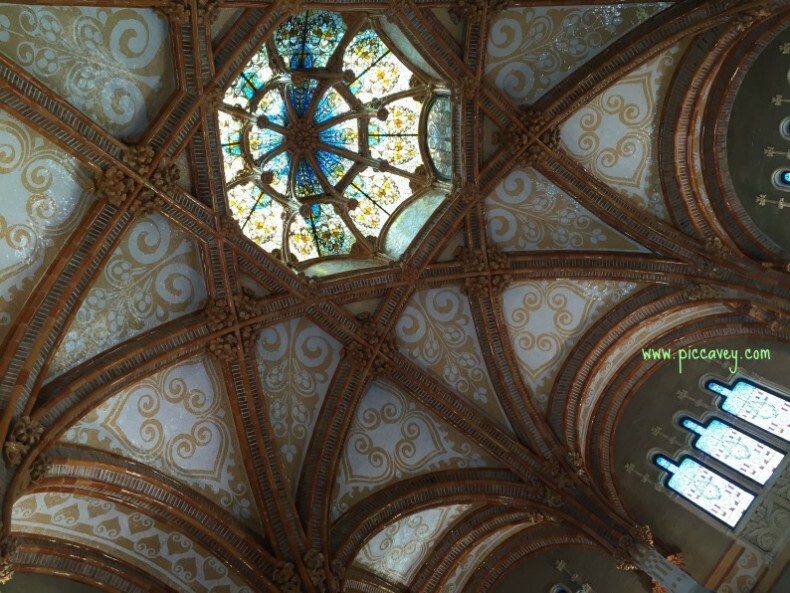 Seen below is one of the ceilings and stained glass details of one of the pavillions. During my visit I think I took over 100 photos. Such beautiful architecture and a peaceful space for recovery. It´s such a shame that it can´t still be used today as a hospital. After a quick lunch I met up with a good friend and headed out towards Cardedeu. La Roca Outlet is a 35 km drive North from Barcelona. 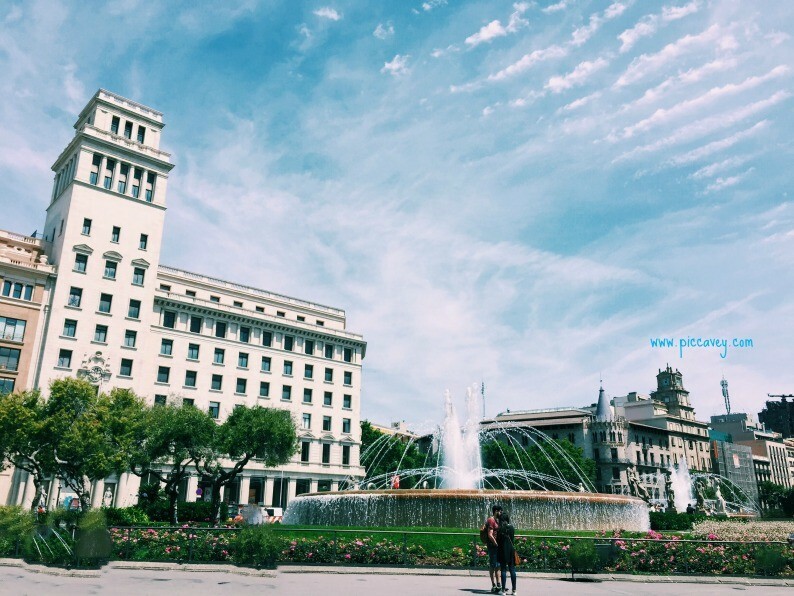 You can get there by bus which leaves every day from Passeig de Gracia in Barcelona city centre. The 30 min journey pass quickly and we soon arrive. Book your tickets here> if you prefer not to drive yourself. 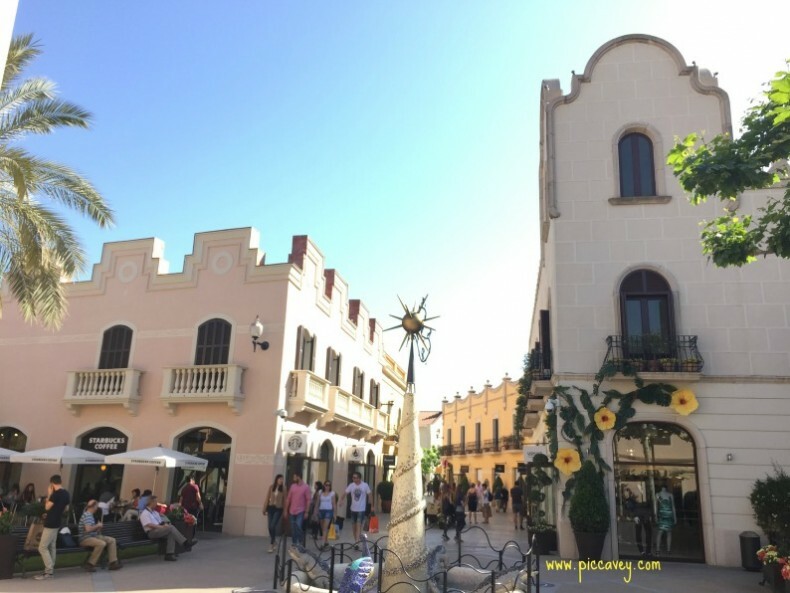 This outlet has lots of Spanish brands such as Camper, HOSS Intropia, Mango, Adolfo Dominguez but also has its fair share of international stores too. Tommy Hilfiger, Versace and Carolina Herrera. There are over 130 shops to wander around. That day I bought some black leather Camper Sandals reduced to 50% of their original price. A good wardrobe staple. And a smart black dress at HOSS Intropia which was also reduced by 40%. A few Rituals Cosmetics too went in my bag and then it was back to Barcelona for dinner. I really enjoyed the afternoon shopping at La Roca, it´s best to go on a weekday and avoid weekends as it get very busy. The whole retail park is well looked after and it didn’t seem much different from the ones I´ve visited in the USA over the last 2 years. (Only in scale) I also look out when outlet shopping for non seasonal items. I buy bikins in winter and boots and heavy coats in summertime. This way you can get some great deals. 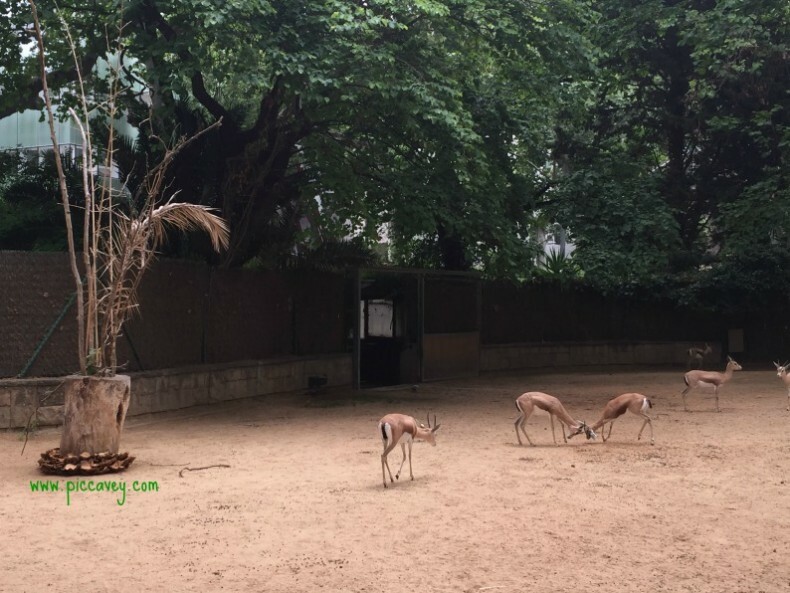 I hadn´t been to Barcelona Zoo since I was about 13 or 14 years old. It was great to revisit after all these years. The Zoo is located close to the Ciutadella Park. You can get there by bus and by metro. It’s a great day out especially if you are travelling with children as they have plenty of things going on all day. Feeding times, play parks dotted around the zoo, face painting session (paid activity) There is also a petting zoo with smaller farmyard animals such as goats, pigs and chickens. The ticket price is quite hefty so I would make a day of it. 20€ adults 12€ children, so a family of four would be 64 euros entry. Try to look out ahead of time for online discounts if you pre book. This way you also get to skip the queues when you arrive with a pre paid ticket. There are lots of places to enjoy a packed lunch if you want to take you own food or snacks around the zoo. With 14 hectares to discover you will have plenty to see if you spend a day there. Look out for the feeding times and timetable of special activities online to plan your visit. The petting zoo has activities at 12 noon and 1pm and then the Sea lions and Doplhins have other things going on worth seeking out. Although I couldn´t stay more than 4 hours in the zoo I got to see about half of the space. I had a fun morning and would recommend visiting. 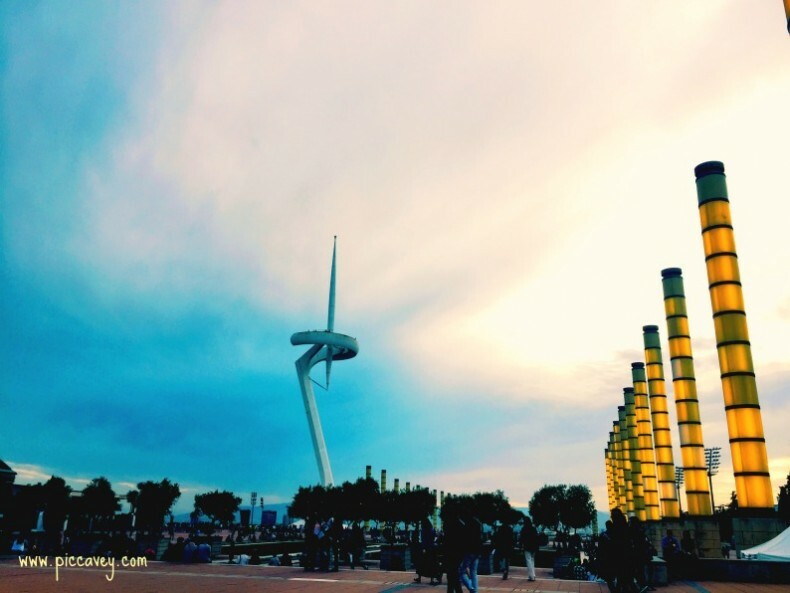 You get a completely different perspective of Barcelona city from here. And now for something totally different. From the Zoo I headed off to a family lunch. 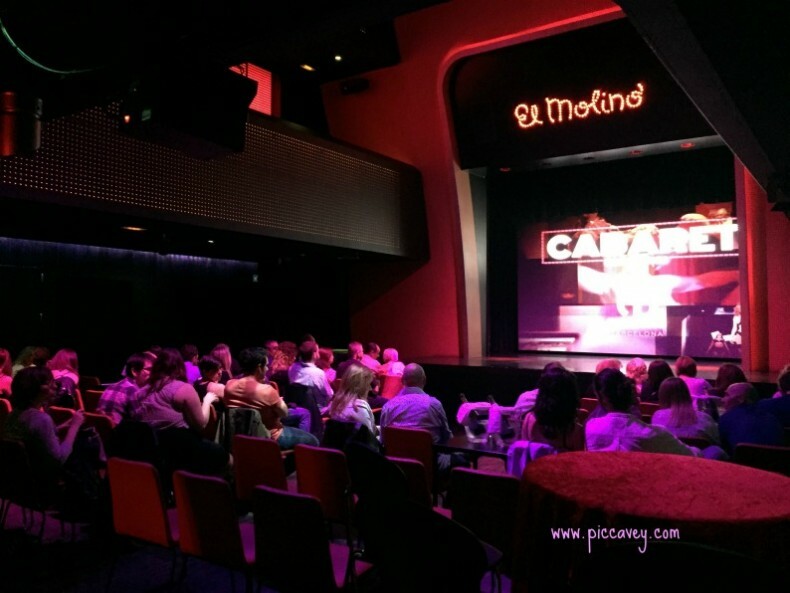 That evening I´d booked to see the Cabaret Experience at El Molino. A legendary theatre on Parallel. Opened in 1898 as the ´Petit Moulin Rouge´ this was one of the most recognised places in Europe at the time. Since it reopened in 2010 I have been wanting to go along. Now I got my chance. A mixture of dancing, mischief, acrobatics, humour and music. It’s a varied show packed with innuedo. The Cabaret Experience is on Thursdays Fridays and Saturdays. They also have other activities throughout the year with different artists and their own resident acts. 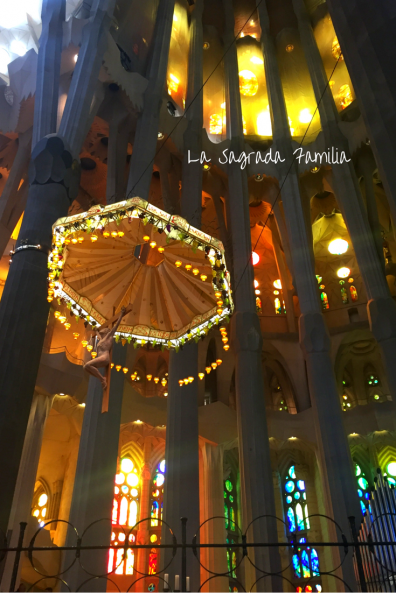 It´s just a 5 minute walk from Las Ramblas to El Molino but I took the Metro to get there from Sagrada Familia. The stop was right outside the door. We had a great night at El Molino, lots of laughs and some amazing dancers. I didnt get to see the nightime views of Barcelona city. Althought they were probably impressive from that roof terrace, we popped out to grab dinner afterwards. I´ll take a look next time. Melia Sky – Ground Floor restaurant – Menu del Dia. The hotel has a Michelin star restaurant on one of the higher floor with the Hermanos Torres in residence there. Dos Cielos is perfect for a special occasion or food avid foodies. I was meeting up for a casual lunch with a friend and enjoyed the ground floor restaurant and the menu of the day. One of the dishes was the delicious quiche (shwon above) Good value and a newly decorated dining space in the hotel lobby. It would even be a good place for solo travellers as there are places to eat on the bar. Club Suizo at Alfonso XII, 95 close to Plaza Molina. A Swiss Restaurant….. Yes, never been to one before but I met up here with a friend for lunch and loved the food. Lots of veggies and choices on the Menu del dia. If you are Swiss it´s worth seeking out this home cooking and if you are not, its a change from the norm. Located very close to Plaza Molina FCC station. Sils Cakes American Pastry No trip is complete without CAKE! On Torrent d´Olla 62 in the Gracia district this cute little shop has some amazing creations. The highlight being their cheesecake. We got 3 varieties to go. My favourite was Piña Colada. A light fluffy mix of merengue and pineapple. Chocolate lovers would adore the oreo version. You can take away or get custom orders made too. 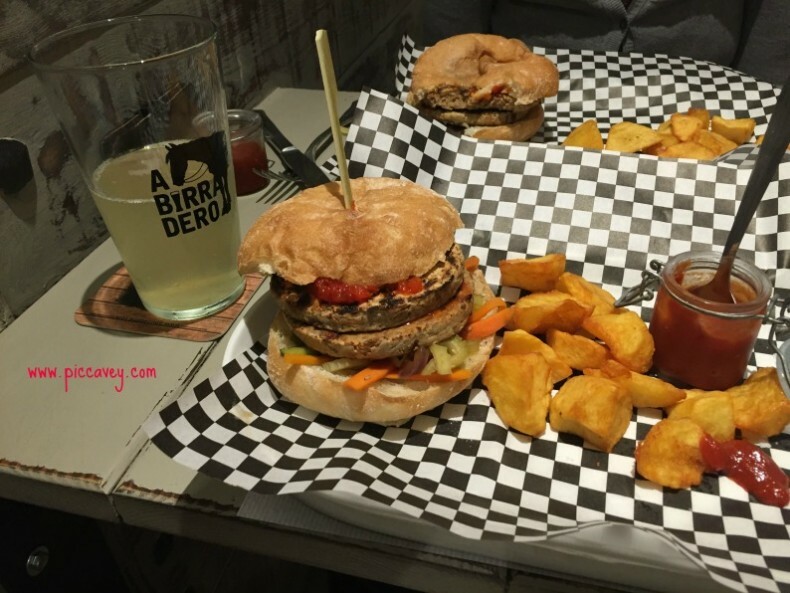 Abirradero Craft beer place on Carrer Vila i Vila, 77 was a great find. Close to El Molino we headed there for post show drinks and food. I chose Tofu burger (shown above) and a delicious Craft beer. They also do guided tours of their production process. Something I´ll be doing on a future Barcelona city visit. All the craft beers here are listed on the wall by type and strength. While they didnt have Alcohol free beers available they did have some delicious soft drinks made with ginger and fruit juices.